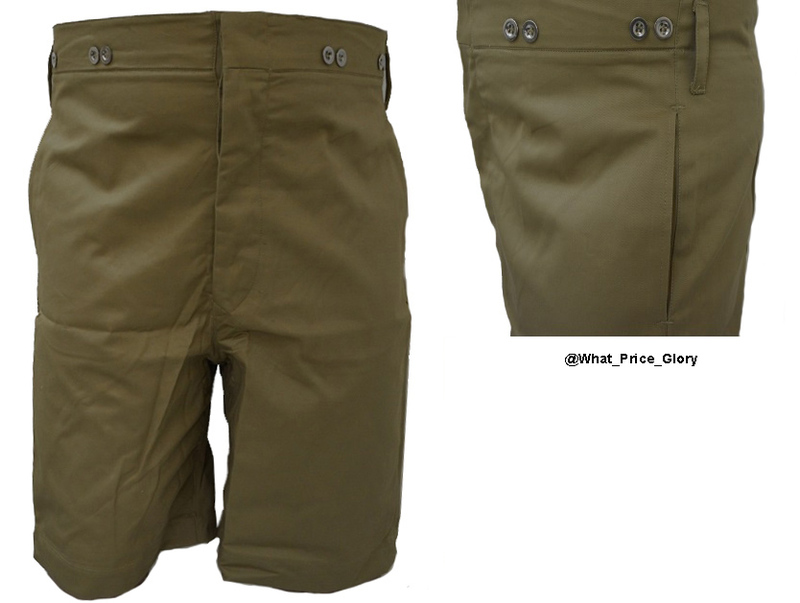 Standard KD pattern shorts of the Boer War period with button fly, suspender buttons, adjustment belt in back. These are worn high, so please measure yourself above the hipbones for proper fit at the waist. . For detail pictures, click here.